Welcome To The Kri-sa LTD Website. We Raise our profile ofinterest. We have an investment in the industrial park in Kaposszekcsõ. At the base area of 16,000 m2, the first partition of the building in December 2008. augebaut. augebaut.The hall is 2 * 2000 m2 and a part including a painter, the other a locksmith's shop. In the first partition is the painter Abteilungl built in which the metal structures with the ultra-modern technology should be deleted. Our company has the machinery procured through price bidding. The operation is in April 2009. before. KRI-SA is a company that in 1998. gegründet wurde. was founded. 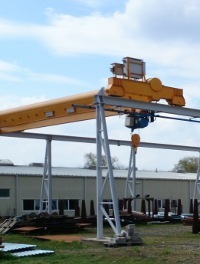 Its main activities are the manufacture of steel and metal structures. 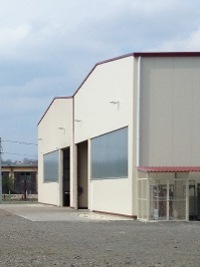 The production currently running at the current location of the company, in a 2000m2 big Size. There are nearly 20 persons. The company exports 90% of its products in all senses of the world. 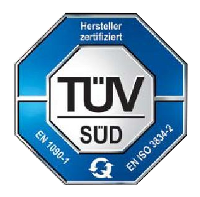 At best this is functionalized so an effective quality management, the continual unanstößige quality of our products is guaranteed. It is the quality standard ISO 9001-2001 produced which has an international certification. KRI-SA FÉMSZERKEZETGYÁRTÓ Kft. | Székhely: 7200 Dombóvár Teleki u.1.| Telephelyek: 7200 Dombóvár Kórház u.7. | 7361 Kaposszekcsõ Liget Ipartelep HRSZ 535 | KRI-SA FÉMSZERKEZETGYÁRTÓ Kft. 2014.